Having held a succession of HR leadership positions during his 19-year career at 3M, Jon Ruppel lives and breathes the company's culture, famous for its emphasis on innovation and creative breakthroughs. 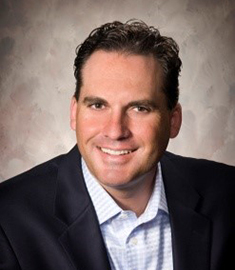 Ruppel, who leads Global Human Resources Business Operations and is responsible for developing and executing global HR strategies for operations in more than 70 countries with nearly 90,000 employees, will present at the upcoming i4cp 2016 Conference: Next Practices Now, March 29 – April 1. In anticipation of his presentation, Improving on Success: 3M's Journey to Build, Develop and Engage Talent, we asked Ruppel about what makes 3M so innovative, HR's role in enabling such innovation, and how the company anticipates future talent needs. What does 3M do really well that many other companies may struggle with? When I'm asked this question, the first thing that comes to mind is collaboration. We are a big company, that’s why collaboration is key to our success. Collaboration really stems from our early leaders and it is deeply rooted in our culture. As a science-based company, we automatically share our discoveries and technologies across the company. No one business owns a particular technology and it's natural to work across business lines in support of the broader 3M goal. Cross-functional teams are at the forefront of what we do. You're never more than two phone calls /emails away from someone who has the answer--that could be a particular market issue, opportunity, or even technology to leverage in order to create new markets or growth. The collaboration here at 3M is really a cultural phenomenon that we see and thrive upon to be a global powerhouse. Another thing that 3M does really well, and one that is near and dear to my heart, is create an inclusive environment in what we now call the Women's Leadership Forum, where we have over 67 active chapters across the world. This forum focuses on including and advancing women, and it really creates an inclusive environment that helps us better shape our workforce and be more reflective of the markets and customers we serve. 3M is known for breakthrough innovations. What are the one or two keys to ensuring continued innovation from a people perspective? The way we look at innovation is that people innovate--not the actual company. People are our most important asset. One of our most famous CEOs--William McKnight--was aware of this way back in the 1940s. He's seen as having been a very forward-looking individual. He really encouraged experimental doodling and allowing employees the ability to have their voices heard regardless of their job level. He's quoted often--and one quote that I like in particular that we use a lot in our leadership development efforts is, 'If you put fences around people, you get sheep.' You have to give people the room they need. Listen to anyone and their original idea, no matter how absurd it might sound at first. That's really the cultural phenomenon that has been engrained since the early days of the company. One of the keys to ensuring our continued innovation is that we allow freedom of expression and thought. We foster this by giving every employee 15% free time, which we call the 15% culture, to enable new ways to explore and discover what's new. It teaches leadership and new skills, it also fosters the pursuit of the next big idea. Many of our new products have come from this 15% culture. An example from HR is the ‘Invent a New Future’ contest, which is really a gaming opportunity to engage future 3M employees at universities in developing markets to compete for jobs. We're constantly trying to find new ways to engage current and future employees at 3M and also, obviously, build our brands in those developing markets so that they're aware of our company, what careers look like at 3M, and of what a truly global enterprise looks like. This is how we look at fostering and supporting this culture of innovation. It's really a part of our DNA. What are HR leaders overlooking when it comes to innovation? What are the short-term, mid-term and long-term capabilities needed to support effective and efficient growth? How do you enable a truly inclusive work environment to foster and realize these capabilities at their best? Regarding capabilities, leaders constantly need to think about how we evolve our work models, the environment, and the experience to accelerate growth. Employees are in markets that are obviously more connected and competitive than ever before. That places an even greater importance on putting the right people with the right skills in the right organization and then building out those competencies, which we do through competency models for functions, and then we prepare them for change in today's reality. We know that change is our best friend, and without preparing our employees for change, we're not preparing the company for the best success possible. So at 3M, we often talk about that. Our job is to develop leaders of the future--someone took a chance on us, so therefore, it's our turn to help develop the future leaders of this company and future success of the company. As for an inclusive work environment, we fundamentally believe that diversity and inclusion are at the core of innovation. If everyone thinks alike and acts alike, this limits innovation. It doesn't foster creativity or bring fresh perspectives. So we really value diversity from its purest sense and think about it in regard to how it solves problems. We really believe that having a diverse workforce in terms of thinking, culture, gender, ethnicity and experiences, just to name a few, starts with embracing an innovation culture and leads to the best thoughts and solutions possible. One thing that we're doing to push this goal is we've set some sustainability goals. By 2025, we want to double the number of diverse people in our management pipelines around the world--this ties into the Dow Jones Sustainability Index, as well as our leadership behaviors. It's key for our leaders to enable this open mindset, to create trust and authenticity, and to be role models. There are lots of other examples I could share, but I'll save those for the i4cp conference. Speaking of the i4cp 2016 Conference, you'll talk about how 3M is transforming to be more competitive in future talent markets. How so? Clearly as a science-based company, we're affected by the scarcity of STEM talent. One example of what we've been doing to build out our future talent pipeline is through our 3Mgives foundation, partnering with a number of important organizations focused on STEM education from K-12 and higher. In 2014 alone, 3M contributed more than $28 million to education programs and--I'm really proud of this--over 97,000 volunteer hours were recorded specifically to education. We're making a lot of these types of efforts. Another example is that we sponsored our first robotics competition in schools where there is competition around end-use of such technologies, as well as Discovery Kids programs to inspire innovation among young scientists. We're also engaging professional societies such as the Anita Borg Institute for Women and Technology, and the Society of Women Engineers as we look to not only increase the awareness of 3M, but also search for the right people with the right skills to place in the organization. Those are examples--as well as internships and co-op programs--of how we're transforming to become more competitive in future markets by being at the forefront of future talent. We're seeing a shift towards the use of more skilled contingent labor. For a company that invests heavily in developing IP, is this trend affecting 3M? If so, how are you adapting? It's an interesting topic and one that has been discussed across many forums. Our senior vice president of HR, Marlene McGrath, has been a visionary in pushing our organization to drive competitive advantage through these optimal talent practices. Basing talent strategies on these business imperatives and enabling decision making about use of appropriate workers to both maximize our capabilities and achieve the best customer care and results are at the forefront of what she's been pushing with the leadership here at the company. We use a mix of talent solutions to meet our business needs and like many other companies, what we're doing is relying on contracts and agreements with non-traditional labor organizations to meet these needs. First and foremost, it's making sure these non-traditional labor markets and/or agencies make sense for the business, and a lot of times this means that we have to review on an ongoing basis what that really means, short-term, mid-term, and long-term, by geography, by market, and by organization. This evolution is a key opportunity for the HR organization to keep a close eye on given the fast-paced, changing environment we work in. This should be at the forefront, too, of what we're thinking about as a function. For more on this topic, download a copy of the i4cp case study Three Ways HR at 3M is Leading the Way.